THE BJORN IDENTITY ABBA TRIBUTE – EUROPA HOTEL, BELFAST – SOLD OUT! 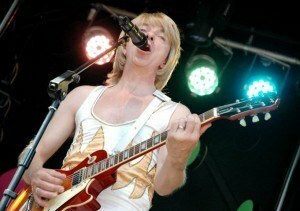 THE BJORN IDENTITY ABBA TRIBUTE – EVERGLADES HOTEL, LONDONDERRY – SOLD OUT! THE BJORN IDENTITY ABBA TRIBUTE – BALLYGALLY HOTEL, LARNE – SOLD OUT! THE BJORN IDENTITY ABBA TRIBUTE – STORMONT HOTEL, BELFAST – SOLD OUT! THE BJORN IDENTITY ABBA TRIBUTE – PURTY KITCHEN, DUN LAOGHAIRE – SOLD OUT! THE BJORN IDENTITY ABBA TRIBUTE BAND – PORTICO OF ARDS – SOLD OUT! THE BJORN IDENTITY ABBA TRIBUTE BAND – ABBEY TAVERN – HOWTH – SOLD OUT! THE BJORN IDENTITY ABBA TRIBUTE BAND – STRABANE GOLF CLUB SOLD OUT! THE BJORN IDENTITY ABBA TRIBUTE BAND – ARDS BOWLING CLUB – SOLD OUT! THE BJORN IDENTITY ABBA TRIBUTE BAND – ANDERSONSTOWN SOCIAL CLUB – SOLD OUT!